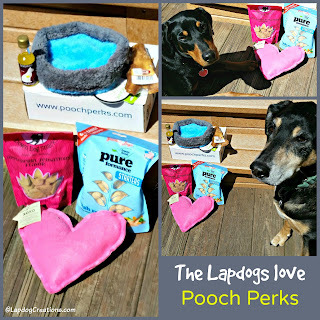 Disclosure: Pooch Perks sent an April box to Lapdog Creations, free of charge, for review purposes. We only share information that we feel is relevant to our readers, and all opinions expressed are our own. If you click on our affiliate links and subscribe, we may receive a few pennies to help maintain this blog. While there may be several on the market, we think the Pooch Perks Inc. box is barks ahead of the competition. Their monthly themes are always so much fun, and the boxes have always been jam-packed full of amazing goodies. The company, who just celebrated their second anniversary, decided to put a little spin on this month's theme. In honor of their birthday, the April boxes are full of staff members favorite items from previous shipments. We love Grandma Lucy's, but had never had these freeze dried treats before. The all natural treats include chickpeas for added protein. I'll admit, when I first saw this toy I thought it was a teeny-tiny pet bed... but it's actually a fun, durable, soft Frisbee-like toy that Penny can't get enough of. It's great for indoor or outdoor play sessions. We got a bag of these in our February box and the Lapdogs loved them, so I was happy to see them again. The heart-shaped treats are handmade in small batches with apple sauce and blueberries. This pretty pink heart was handmade in Vermont. It's very sweet... I think a little too sweet for the Lapdog chewers so we'll be passing ours along to a friend. We received the "red" in our February box, and now we've got the "white" to make a nice pair. The doggy treat is made from filtered water, infused with organic bacon extract and enriched with salmon oil. And yes, it is non-alcoholic. One of the things I love most about Pooch Perks is how many ways you can customize your dog's box. If your dog doesn't like treats or toys, no problem - there's a box for that. If your dog has allergies, no problem - they'll pay attention to that. 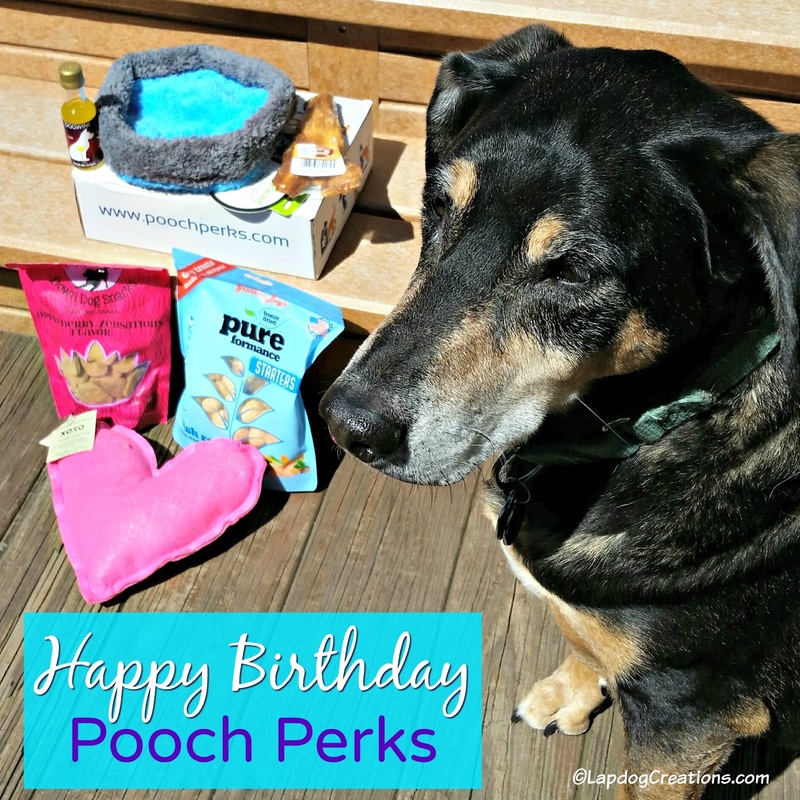 Whether your dog weighs 10 pounds or 100 pounds, no problem - they'll accommodate that. Whether your budget is for 1 month or 12 months, no problem - they've got you covered! Plus, no matter which plan you choose, you can SAVE 10% off the prices listed below with code LAPDOG or for a limited time, save 50% off with code 50OFFDEAL (valid only on 1 month option)! If you opt for the one month option, you can SAVE 50% off with code 50OFFDEAL (valid for a limited time only) or use code LAPDOG to SAVE 10% off any option, at anytime! Everyone in the Lapdog house loves the Pooch Perks Inc. boxes and we know you will too. 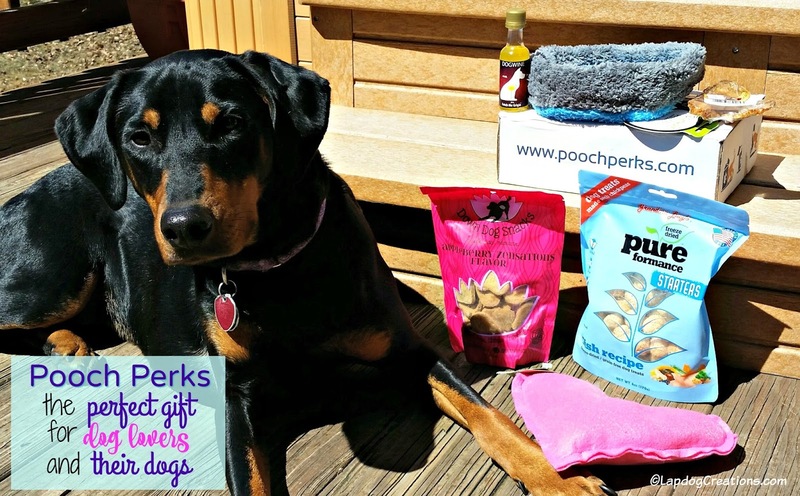 Sign your favorite pup up today... you won't want to miss the May Barks N' BBQ box! We're in the mood for a good BBQ and can't wait to see what's stuffed inside ours. Next months theme sounds exciting. Great write up ! Those look like some great dog treats! I love that they have such a variety of box subscription options. You really did get a full box! Love that they offer so many options so you can personalize the box for your dog. It's so hard to find items for tiny dogs and allergies on top of not! This is great! While we are on the subject of tiny dogs... I thought for sure that was a dog bed, haha! There are so many of these monthly dog boxes now. I hadn't heard of this one, thanks for sharing!